Cypress Dunes is a private gated community nested along the west end of Scenic Highway 30A in Dune Allen. Established by Atlanta-based builder John Willis Homes, Cypress Dunes includes single family residences that feature Florida cottage-style architecture with metal roofs, hardiboard siding and covered porches for soaking up the afternoon gulf breeze. Community amenities include an upscale amenity center with a homeowner’s clubhouse, an infinity edged swimming pool, a jetted spa, an outdoor fireplace, a fitness center and a second level sunset deck. 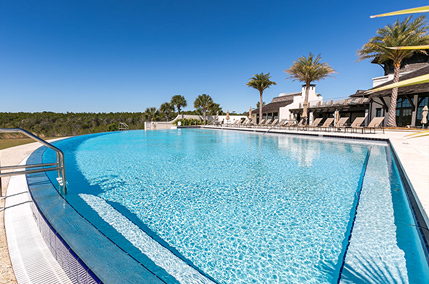 An additional resort-style swimming pool with waterfall, recreational lawn area, tennis courts and boardwalk are also available to residents.